CURRENT PROJECTS Mike is currently writing a book on reproductive disorders and Chinese medicine, and hosts his groundbreaking seminars, Traditional Chinese Medicine and Western Reproductive Medicine in the Diagnosis & Treatment of Infertility, across the country. 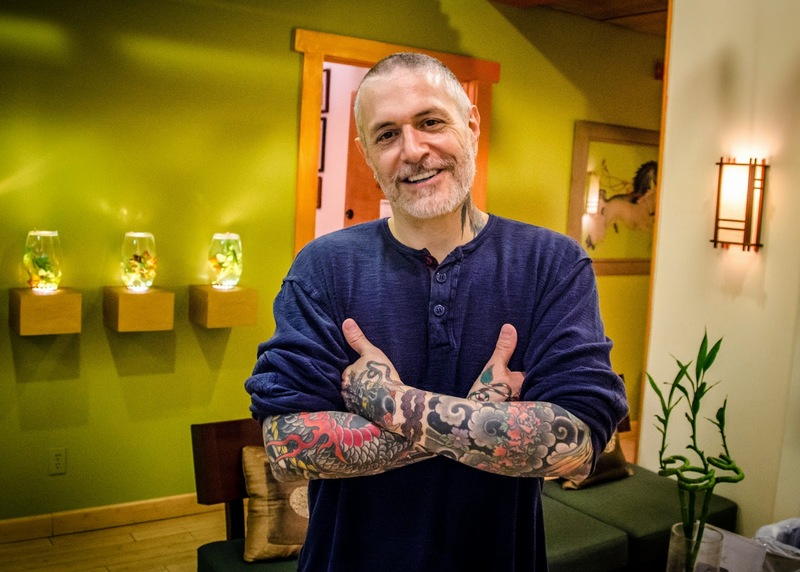 With the increase in the number of couples being diagnosed as “infertile,” Mike feels that it is even more important now to share his expertise and findings with acupuncturists, herbalists, gynecologists, and other healthcare professionals. I developed an interest in acupuncture and herbal medicine due to a very personal and difficult reason. Infertility. My wife and I decided that we wanted to start a family a soon after we got married. We tried and tried for 2 years and then sought the help of a reproductive endocrinologist here in New York City. My wife was diagnosed as having a bacterial infection and an autoimmune marker. We were both given doxycycline and she was given a short course of prednisone. At our follow-up examinations we were 'cleared' of all obstacles to conception and told to go home and 'try'. Try and try we did for another 6 months without success. At this point my wife sought out the help of an acupuncturist/herbalist who had some basic knowledge of reproductive issues. We were lucky to find one. After treating with acupuncture and herbal medicine for six months my wife got nothing more than a regulated period. We were disappointed. Then, the very next month, the miracle manifested: she was pregnant and, she carried to term without a hitch! We had a beautiful 7.5 pound little tiger who is now a big boy. I was amazed, humbled and enormously excited and gratified by the result which was yielded by what seemed like some hocus-pocus newfangled type of medicine, but it really worked (my son can attest to this!). It was then that I started to explore acupuncture and herbal medicine on my own. I had this urgent curiosity to learn more. I couldn't believe it when I found out that this type of medicine had existed for 3,000 years and that there are literally hundreds of medical 'Classics' dating back centuries on the subject of reproductive disorders and how to treat them. Incredible! Then, this really strange thing happens: I'm reading the Village Voice and I spot an advertisement from Pacific College of Oriental Medicine in San Diego. The ad reads something like this: "PACIFIC COLLEGE OF ORIENTAL MEDICINE IS PLEASED TO ANNOUNCE THE OPENING OF OUR NEW YORK CAMPUS. ALL ARE INVITED TO AN OPEN HOUSE." And, to the Open House I went. I left almost six years later with a degree in acupuncture and a National Board Certification in herbal medicine. With license(s) in hand, I devoted every free moment to studying Western medical and Chinese medical approaches to treating infertility. After years of study and clinical experience, I have been fortunate in that I have been able to develop my own unique acupuncture protocols and proprietary herbal formulas. I am still amazed and in awe at how these treatments work miracles. Just ask all of our new mommies and daddies! The fact that I am able to help so many couples achieve their dream of starting a family is the focal point of my life. Every single patient that comes to The The Berkley Center for Acupuncture & Herbal Medicine is a great gift to us. It's another opportunity to add joy to the world!